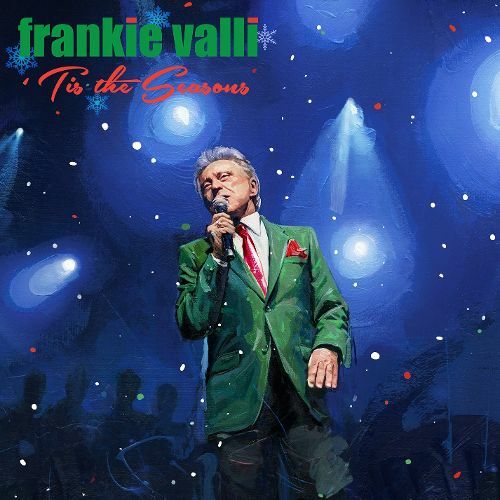 Frankie Valli (@frankievalli) Rings in Holiday with New Christmas Album–’Tis the Seasons! How many of you have already heard legendary Frankie Valli’s Christmas album, ‘TIS THE SEASONS? The two guys with a JERSEY contract have done it again! Musical genius Bob Gaudio has produced legendary pop icon Frankie Valli’s first solo Christmas album and we are all in for a treat! Along with some of the most loved holiday classics, Valli has teamed up with fellow Rock and Roll Hall of Fame member Jeff Beck on “Merry Christmas, Baby”! You can order your copy on Amazon by clicking HERE! This amazing recording is up there with two of my other favorites–The 4 Seasons Greetings and Seasons Greetings: A Jersey Boys Christmas! Another great album by Mr. Valli! Every song on the album is fantastic. I have purchased several copies and handing them out to family and friends and no one should be without a copy this holiday season.